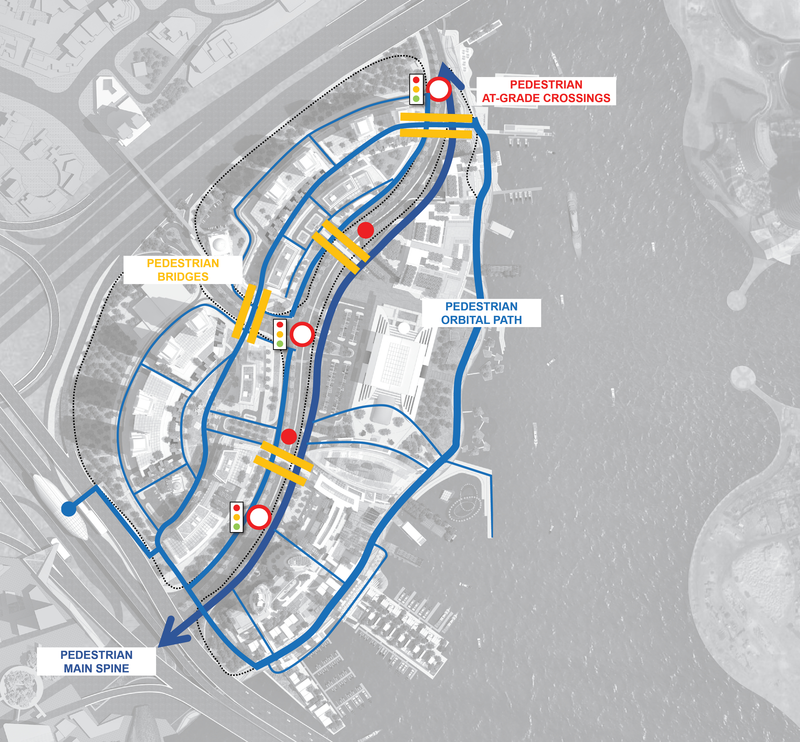 Located along the Dubai Creek, Culture Village 2 is the second culture-oriented and mixed-use development, hosting the new Mohammed bin Rashid Library, and conceived by Dubai Properties Group for Al Jaddaf neighbourhood. Systematica joins the design team led by 5+Design to forge the transportation master plan, conceiving a strategy to respond to the mobility needs of different user profiles. Since its onset, the strategy is hinged on these main considerations: how to improve wide area accessibility to Culture Village 2 and other Culture Villages? How to deliver a pleasant and accessible urban public realm? How to improve Culture Village 2 attractiveness, through Public Transport? A set of strategic actions and guidelines for improving Culture Village 2 accessibility and mobility is defined; they involve all levels composing Culture Village 2 transportation network: road transport, public transport and soft mobility (pedestrians and cyclists). 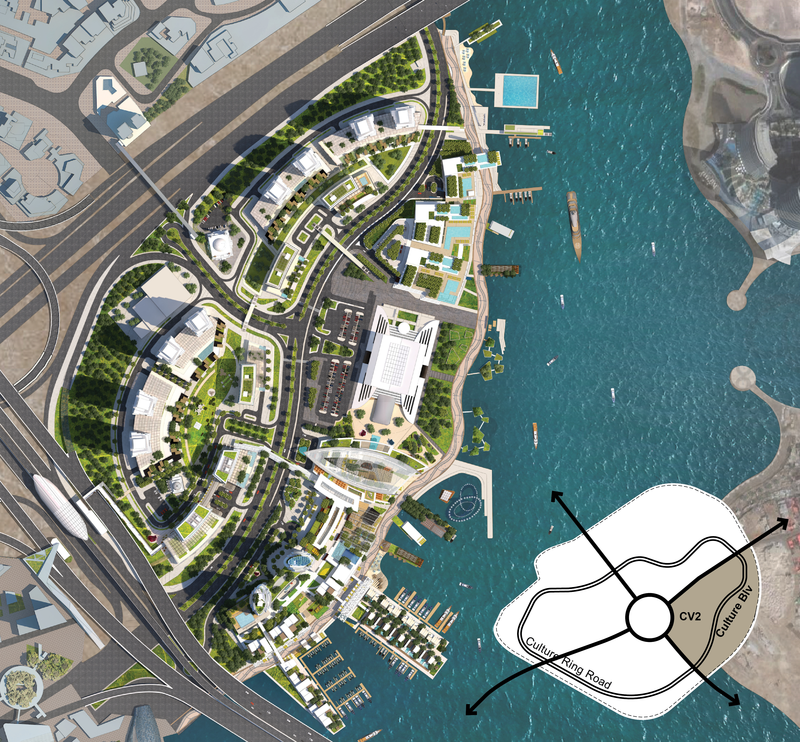 PT strategic actions are crucial for developing a human-centred and vibrant master plan; they include: the creation of a new multimodal transport hub; Dubai bus lines implementation inside Culture Village 2, and a new maritime transport pier. Road transport strategic actions include the redesign for the main road crossing Culture Village 2 into a multimodal boulevard for all road users, and including a new urban frontage road, conceived on the model often present in denser mixed-use urban areas. Finally, strategic actions are also developed to boost the experience of cyclists and pedestrians inside Culture Village 2 and in the surrounding areas. On this regard, the main goal is providing soft mobility’s users with: adequate facilities for comfortable and safe mobility; pleasant and friendly environment; proper route choice with continuous paths, and; priority over the other transport modes’ flow. 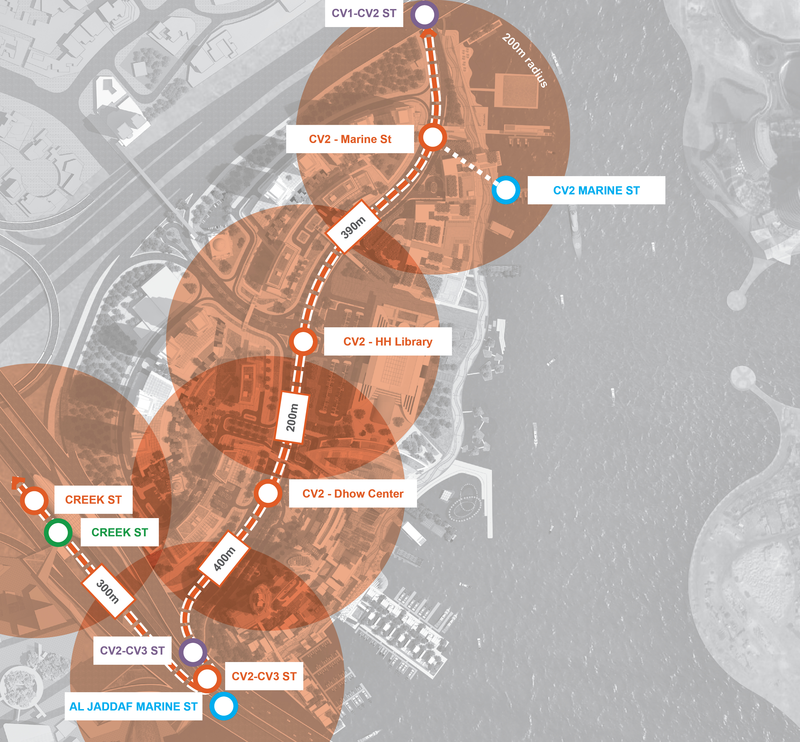 CV2 aims at being a vibrant culture-oriented development in Dubai, with pleasant and accessible urban public realm.